Four years of brutal austerity measures in Greece have highlighted the poverty and inequality in the country undermining democracy, a damning new report by the International Federation for Human Rights (FIDH) says. “While we accept that exceptional circumstances can require exceptional responses, the way policies were adopted and implemented in this context clearly failed to respect international standards,” FIDH president Karim Lahidji said. The Greek authorities have “sacrificed nearly everything” to save its economy, he added. The government’s moves also forced the most “vulnerable” sections of the population to “pay the highest toll” in the crisis. In particular, the minimum salary was reduced after February 2012 by 22 percent for the employees over 25, and a staggering 32 percent for those under 25, the FIDH said. Meanwhile, doctors were forced to refuse to treat patients and postpone key surgeries due to cuts in an already understaffed health system. 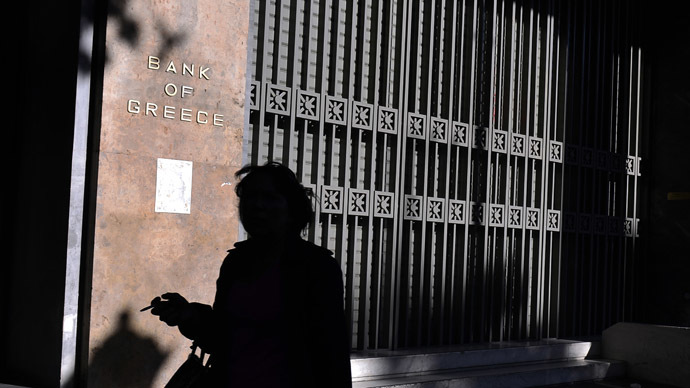 The organization said that not only the Greek authorities are to blame, with the EU and IMF also violating their “obligations under international law” that forced the struggling Greek economy into “draconian” bailout deals. “Human rights violations appear as having simply been regarded as an acceptable collateral damage in a broader crisis management, or as a well-deserved answer to the ’Greek problem’. This is simply unacceptable,” FIDH’s Vice President Dimitris Christopoulos said. “I seriously doubt whether any human rights concerns were ever raised in designing and implementing the country’s ‘rescue’ plans,” he added. FIDH is by no means the first group to accuse European authorities of implementing harsh austerity: In 2013, Oxfam blasted the measures in a report that threatened 25 million people could be living in poverty by 2025 unless the cuts are canceled. The austerity measures have been implemented in Greece for the last four years: cuts to public services, as well as higher taxes were pre-conditions for bailouts to keep the banks solvent.